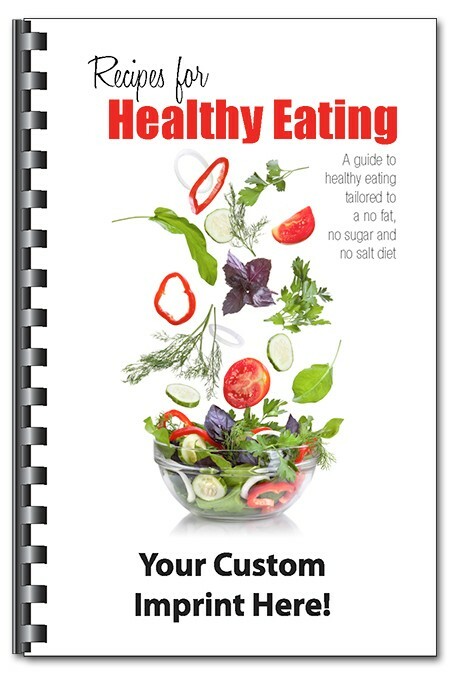 Show your customers you care with these healthy cookbooks. These cookbooks are a perfect fit for hospitals and health centers--use them for physician referral campaigns, wellness programs and more! They''re ideal promotional products for other industries too--banks, newspapers, schools, real estate companies--the list goes on. Healthy eating with no added sugar, salt or fat--a good fit with any health care program.